I love to cook and bake, but I am busy like most of you. Who wouldn’t love to spend hours in the kitchen cooking and making all kinds of desserts, but in reality, most days I need simple recipes. 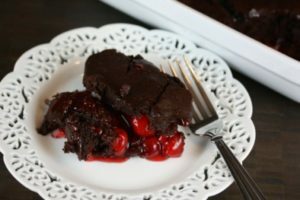 This chocolate cherry dump cake is so simple and perfect for a last minute dessert. 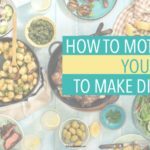 I need meals and desserts that I can put together in only a few minutes. They also need to contain everyday pantry ingredients. Thankfully, this recipe for chocolate cherry dump cake fits all the requirements. It is a quick and easy dessert that contains ingredients you already have in your pantry! Dump cakes of one form or another have been around for years. Growing up, dump cakes were one of the desserts that my mom made often. They were one of her go-to desserts. She made many different versions over the years, and we always enjoyed eating them. 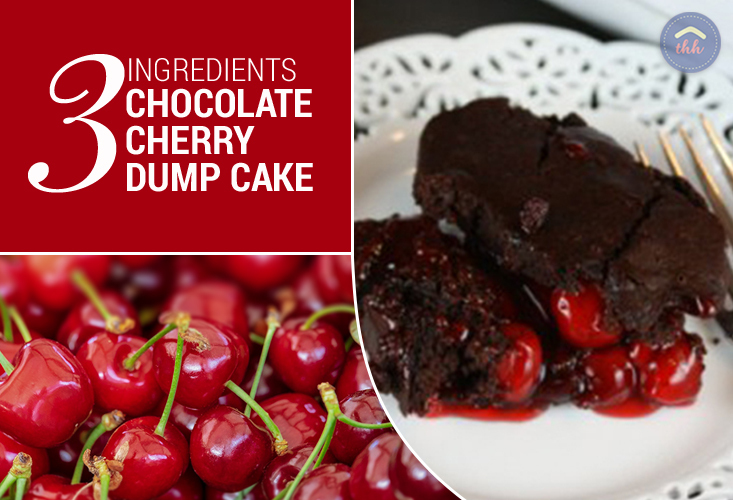 This chocolate cherry dump cake is different from the traditional dump cake recipes because it contains cola. I would say “Coke” but I know all the folks in the midwest might get upset, since they call it “pop.” However, I digress. After you make it once you’ll wonder why it took you so long to try the recipe! This moist and delicious dump cake is so easy and it only has three ingredients! Spread cherry pie filling into a 9x13 inch pan. In a bowl mix together dry cake mix and cola until combined and spread over cherries. Bake for 35-40 minutes or until done. You want the top to have a cake like texture. The following is a post from Lynn. I am going to try making this tonight. Looks super yummy. I am going to try this with peach filling, yellow cake mix and 7up. Did you do this? How was it? I know it was a long time ago! What a great idea!!! Might have to try this when we go camping too. Deb there are no eggs necessary for this. Harriet, the peach and 7 up sounds great! Oh Em Gee. I love dump cake at least what I call traditional dump cake where you put the pie filling of your choice in a pan (nuts if you want), sprinkle a dry cake mix over the top, cover with 2 sticks of butter and bake. I have never heard of or seen it done this way with chocolate and coca cola, I can’t wait to make this! Thanks for sharing. I’m going to try this, but with diet cola or diet Dr. Pepper instead. I love chocolate and cherry together. Do you think it would come out OK with a brownie mix instead of a cake mix? I am using a cup of Dr. Pepper instead of Coke, because that is what I have on hand. My house smells sooo Good. I can hardly wait to sink my fork into it! & I will def try the peach with 7up next time!!!! Did you use Chocolate flavored cake w/ the orange soda? I bet a vanilla cake would rock! Orange Dreamsicle! Yummmmmmm. I didn’t have any cola in the pantry so I tried it with some brewed coffee. I made this before work and served it, still warm, to my coworkers. Each serving lasted only moments after it was spotted and everyone wanted seconds. Great recipe for cost, ease of preparation, and favorite flavors. I’ll remember this one! I don’t drink any pop, so thanks for the coffee alert. I thought the rise was do to the soda in the pop, but evidently there is enough in the cake itself. Never made a dump cake before. This was a big hit! Thanks! I made this Christmas day for my parents to take to a party. I would recommended greasing that 9×13 pan, use at LEAST two cans of cherries (when did they stop putting freaking CHERRIES in the cans, haha), and have at least a cup and a half of cola handy, I needed more than a cup and wish I had used a bit more. The cake was a hit following the directions above, but I’ll tweak it a bit in the future- thank you! I have never tried nor made a dump cake until this evening. I think I was a bit of a cake snob they were made from scratch. Now with physical limitations, and craving something chocolate I saw your recipe and thought why not. I added some nuts and sliced banana, over the cherries and used Shasta Tiki Punch. It was amazing I topped it with Cool Whip and a little drizzle of chocolate. It was fabulous, we ate the rest for breakfast! Thank you for making me look good once again in the kitchen, I can,t wait to try more!